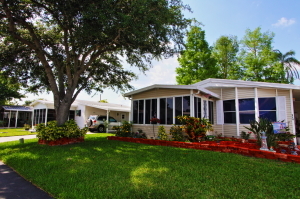 Finding a mobile home for sale that’s (1) in the Orlando area (2) affordably priced, and (3) located in a safe, well-maintained community with friendly neighbors is easy thanks to Hyde Park. We are a professionally managed 55+ community 13 miles west of Orlando that currently has many sturdily built mobile homes available for purchase. Whether you are interested in buying a two- or three-bedroom home, there is certain to be a mobile home at Hyde Park with your name on it. Though sizes and prices vary, all our homes feature attractive, updated interiors and low maintenance exteriors. We think you will have no difficulty finding a home at Hyde Park that accommodates both your retirement lifestyle goals and your housing budget. Another factor helping to explain our community’s popularity is our excellent location. Our residents are therefore able to take advantage of all the great things that the Orlando metro area has to offer, all without having to drive very far. Contact Hyde Park today if you think you might be interested in a mobile home for sale at our community near Orlando, FL.